Younger, healthy residents of Nevada may feel like estate planning is something to consider in a distant future. Advance health care directives and powers of attorney may seem like issues that do not yet concern them. However, without advance health care directives, individuals who become incapable of communicating their wishes are essentially forfeiting their autonomy. No one ever sees an emergency coming, and creating medical directives regardless of health status or age is always wise. An advance health care directive is the legal documentation outlining an individual’s preferences about end-of-life care and wishes in the event of an unforeseen medical crises that leaves him or her incapable of communicating or making decisions. There are two main types: a living will and a medical power of attorney. A living will contains, among other things, instructions regarding issues such as artificial life support and organ donation. Medical powers of attorney — also known as durable powers of attorney for health care — gives legal authority to a another individual to make decisions on behalf of the first individual if he or she becomes unable to do so. Too often, people assume that family will take care of these decisions for them. Unfortunately, though, even close family members are often mistaken about the individual’s desires or blinded by grief and worry in these situations, and they may make decisions that the individual would not have agreed with. Additionally, all too frequently, the guesswork required leads to conflict between loved ones, with some family members doubting whether the correct decision was made. These unfortunate scenarios can generally be avoided by preparing the proper documentation ahead of time and discussing the decisions with involved parties. Despite the many advantages and clear importance of medical directives, a 2014 study indicates that only about a quarter of Americans have any sort of advance health care directives. While it may seem like there will always be time to prepare these documents later, it’s better to plan now, both for an individual’s own sake and the sake of loved ones. 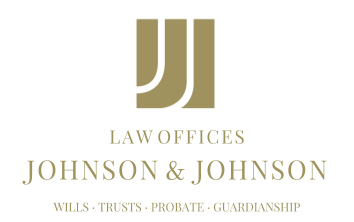 A Nevada estate planning attorney will have the knowledge and experience necessary to answer any questions or concerns an individual may have about this important documentation and how best to get started.